I took a chance on this auction. I only had these pictures to work off of. Please note the smaller operator font and straight cord. Also if you look closely at the bottom of the phone, you may see a reflection of a date. (I was hoping it was). For $50, including shipping, I got an all original oldie . My other WE 500 10-1950 had the cord replaced in 1953, but other wise it was original. This one was even better. Well here's what I got. It's a January 1951. Earpiece 1-17-51. Network 2-1950! Housing 1-9-51. The original brass crimps for both cords were undated. I thought all 1951's had the date under the "loud" dial, while the 1950's had it in this position. I guess I was wrong. The housing is spotless, while the bakelite receiver is rough, but I should be able to "novus 2" it up. I added a dial # retainer and it works and rings like a champ (after moving the gray wire off the ground terminal). Wow, Dan, a nice very early 500. I'm impressed with the great condition, especially of the base and the feet. They look almost new. It must have had a good life. And a 2-50 network no less! Dan, that is a very nice phone. I had my finger on the trigger for that one and couldn't see any date on the front so I backed away. It looks like in the photo some yellow paint before the "2" on the network. Is it possible that was 12-50 which would match up with the base date of 1/51. If it is in fact 2-50 that is a very old one...even 12-50. Does it have the split network? Is the ringer a C2A, C3A or the usual C4A? How about the dial, a 7A?? What are the handset element dates? Nice phone, nice price. I'm glad someone from the Forum got it! Thanks. Here are some answers to your questions. I see where you could see the network looks like 12-50, but it's a 2-50. There are yellow paint dots under the GM circle, the L1 circle and next to the 2 of 2-50 that lead me to believe the network was stamped by a sloppy stamper. It has the split network, with the tungsten box dated Dec 18, 1950. Ringer is a C-2A, Dial is a 7-A , 1-51 with a roman numeral I under it. Handset element dates are ear-1-17-51, mouth 1-51. No dates on the underside of the caps (my 1950 has dates). 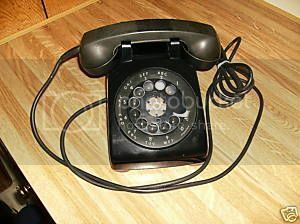 My 10-1950 has a network date of 3-50, so I bet western electric may have made a lot of networks and kept using them in newer phones. If anyone has a '51 or '52, I'd be curious what date there network is. Also, I agree about the feet. They are the best leather feet out of all my phones. If I polished the housing a little bit , it could pass for NOS. Great phone Dan. Thanks for all the information. That is the most complete early 500 I have even seen. The smooth handset cord proves it has never been to the shop. Can you read for us the date stamped on the crimp (handset and mounting cord). I took both crimps off because the fronts were blank. (most of them say 53 or 56 as you know, for exampleto ID the year). Underneath they both say H4BA roman numeral IV50 on both crimps. Maybe the 50 means 1950 and the IV means the 4th quarter of 1950, who knows. This is all new to me too. They are 1950. You are correct. Dan, that is really something that both original cords are still on the phone. Imagine. The designation of the handset cord H4BA as I understand it (Bingster furnished this information a while back) translates like this. 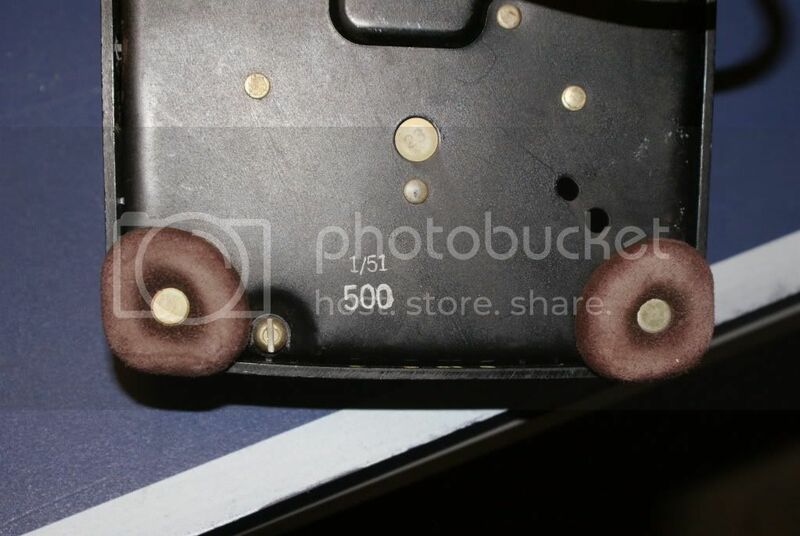 "H" indicates handset cord, "4" indicates 4 feet in length and the BA would be some kind of production code. 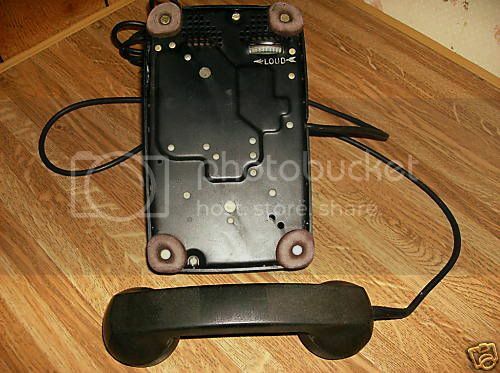 A mounting cord (the older cloth cords) would begin with an "M", or "D" for a desk stand cord. 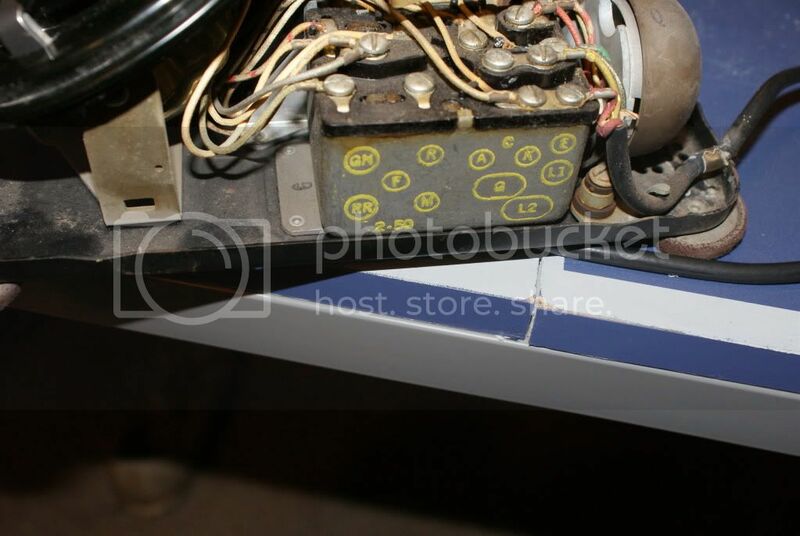 The number is the number of internal conductors. I'm still not satisfied with the production sequence answer we got from the list. Cords with different ending letters are specified for certain models of the same phone in the BSPs, and that has to be for a reason. Wonderful find, what was it listed under ? How could I miss that gem ? Thanks Bingster for clearing that up for me. I will remember correctly next time. I didn't buy the production code either but that is the lore that was passed on from the List as you mentioned. Four conductors, not four feet! Dan/Panther, it was listed under "vintage bell rotary telephone."